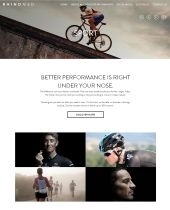 This ASX listed biotech company uses online sales to distribute its innovative sports and sleep related products. After an initial site development Rhinomed decided that the risk of vendor lock-in was too great and sought to put more robust procurement management in place. BFC established a managed infrastructure support, created robust development and deployment processes and negotiated with a range of vendors to supply best-fit delivery of services. Technologies include open source CMS and eCommerce platforms, various SAAS applications. This provider of corporate psychology services uses an in-house developed web application to interact with its blue-chip customer base. BFC assisted in transitioning away from the system developer and establishing a vendor agnostic maintenance and enhancement regime. Changes are now out-sourced with a significant cost saving and efficiency gain. Technologies include Java MVC. This social website takes expert wine information and combines it with user contributed content. BFC refactored an existing database, created a data maintenance system for use by the Wine Genius authors, while the public website was specified and development project managed. The site leverages open source CMS and MVC. This project involved business and marketing strategy to define the opportunity, requirements analysis to refine the target business system, procurement to achieve the build and marketing implementation to generate traffic for testing of various marketing positions and offers. The technical implementation uses a popular open source CMS combined with a fast but fully featured MVC framework. This eCommerce website based on WordPress was developed to support the product launch of mBraceables. BFC provided requirements analysis, project management and hosting. CRM needs analysis and implementation. Cloud technology implementation, customisation of cloud based CRM to provide property management platform. ASX listed technology company (name confidential). Business modelling, application design and implementation project management. Supplying services to a federal government department, this technology company needed to replace a public facing payment and customer service portal. With a tight budget and timeline, BFC reviewed the system architecture, engaged the end client in business analysis, documented a detailed application design and then oversaw the implementation by in-house and contract staff. The project was delivered on time and within budget. Business strategy and planning, technology strategy, development of sales tools and direct sales to customers. Technology procurement, web application security auditing. Business modelling, technology requirements development and technology procurement, corporate identity definition and creative services procurement for this start-up online financial services business. Training delivery for the Liferay enterprise web portal. Provided technical consulting to enable this software development to submit a tender response that combined their industry specific products with a web portal and CRM system. Business strategy and planning, technology strategy, technology procurement and supplier negotiation for a start up risk management business in the financial markets space. Business structure planning, corporate identity definition and creative services procurement provided to this Salesforce consulting organisation. Business planning, corporate identity definition and creative services procurement.